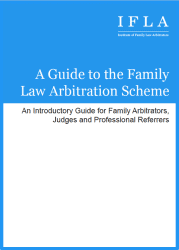 Julie is a family law arbitrator qualified in both children and financial matters although practising predominantly in disputes regarding children. She is based in Brighton where she practises as a barrister but is willing to travel throughout the UK and beyond for arbitration. Julie has practised in family law since qualifying in 2000 and her confidence in arbitration stems from seeing on a daily basis the emotional and financial strain that lengthy court proceedings can place on families. Julie is much sought after for the experience, skill and care that she brings. Her preparation is meticulous. She is a down to earth, friendly and reassuring presence for parents. Her style is practical and focussed. She works hard to find solutions for families within arbitration and ensures that cases are listed and dealt with promptly, minimising delay for the children. Julie is a well known author and has written a legal textbook as well as writing regularly for legal periodicals. 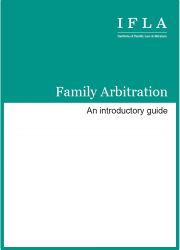 Her articles about arbitration are published by Family Law Week. “Julie’s professional attitude combined with her approachable demeanour make her a firm favourite with clients. Julie puts them at her ease whilst offering sound advice. Her drive and determination have produced life changing outcomes for some clients who have been supported by Julie, both legally and emotionally along the way”.